I don’t spend a lot of time on social media but when I do have something to share I want to post from Facebook to Twitter and not vice versa. Although I use Hootsuite, sometimes I want to share what I read on Facebook as quickly as I could instead of jumping from one app to another. Step 2: Click Link to Twitter on the right side of the page that you want to link to Twitter. 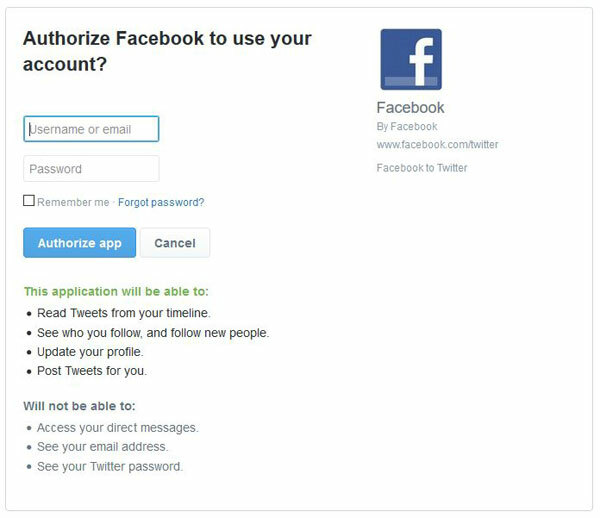 Step 3: Enter your Twitter information (email or username and password) to authorize Facebook. Step 4: Wait for the message “Your Facebook Page is now linked to Twitter” and you’re done. It is that easy to link your Facebook Page account to Twitter. 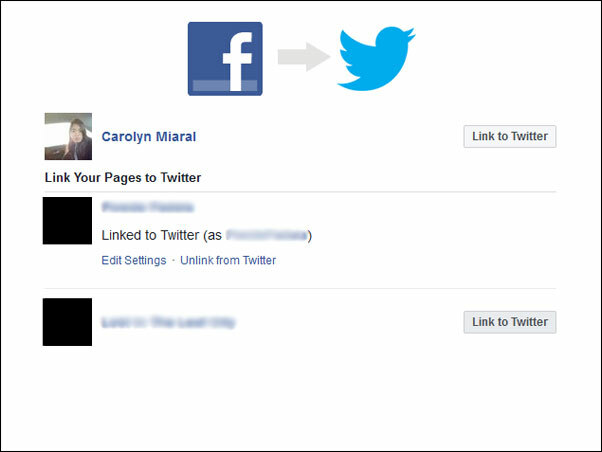 And to stop posting from Facebook to Twitter, you can log in with the same link above and click Unlink from Twitter. I rather not share notes or events because I mostly post about blog post or share what others have posted or liked. If you have other tricks on how to post from Facebook to Twitter or have a favourite social media management platform, brag about it.